Lately the time capsule houses have been flying in at warp speed. 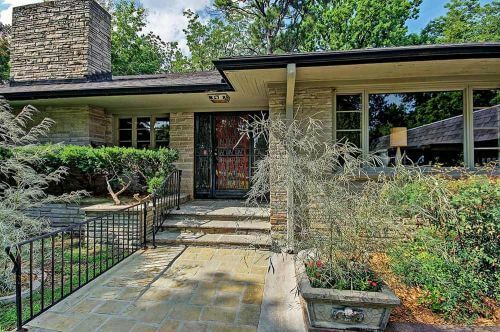 Today’s feature — this luscious 1960 ranch home — updated in the 1970s — in Tulsa, Oklahoma, that’s loaded with eye popping original features. In the sunroom alone you’ll find the original checkerboard floors and Weldtex ceilings, built-in stone planters and gorgeous wall murals. 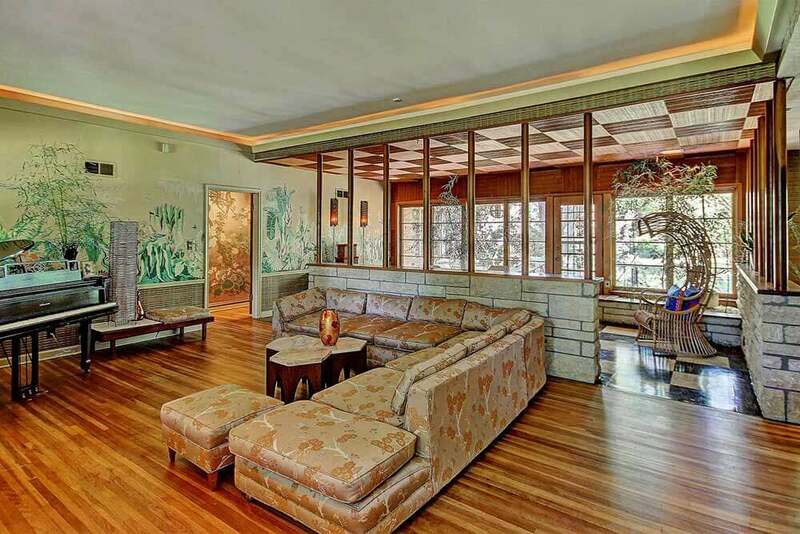 This single-owner true Mid-Century Modern ranch-style home was designed by a family member influenced by Frank Lloyd Wright. The home was owned by Greek immigrants (note — you can read more about the family’s history on Lori’s realty blog). Top quality finishes of the era are found throughout the home, including vintage silk-screen wallpaper, aged teak finishes, period light fixtures and Anderson casement windows in mint condition. Construction is of the highest quality and records indicate thorough and consistent maintenance. Distinguished by large glass windows, clean lines and functional, open space, this home is an entertainment mecca – rich in history and authenticity. 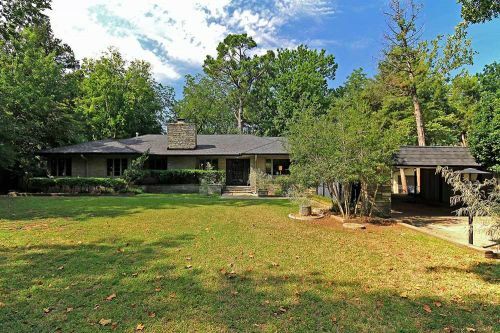 This spectacular home sits on almost a ¾-acre lot with a picturesque, park-like back yard. The walkway to the covered porch is highlighted by Earnest Weyman ironwork railings and a custom iron storm door. 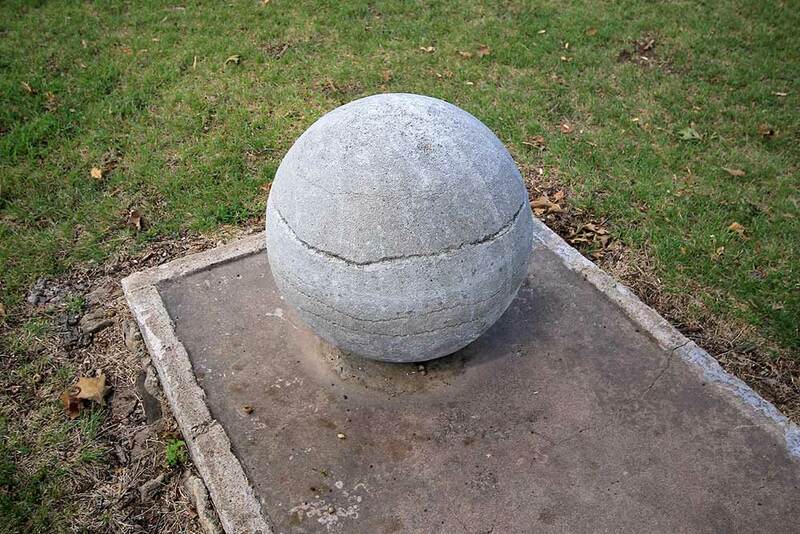 The original worm limestone pathway and limestone planters set the tone for the time capsule that awaits you. The entry is accented by a glittered wallpapered ceiling, hand-forged entry light, hall closet and vintage door bell. Handsome hardwood flooring is in the entry and flows throughout the home. Windows on either side of the front door bring in sunlight from the east. The formal living room will take your breath away. 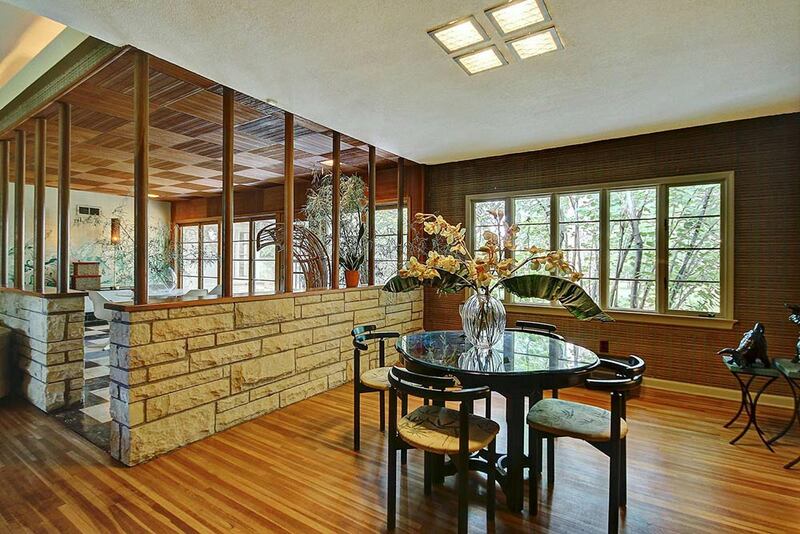 The interior limestone wall on the front side of the home covers the bottom half with the top half of the wall being all windows and mirrors. 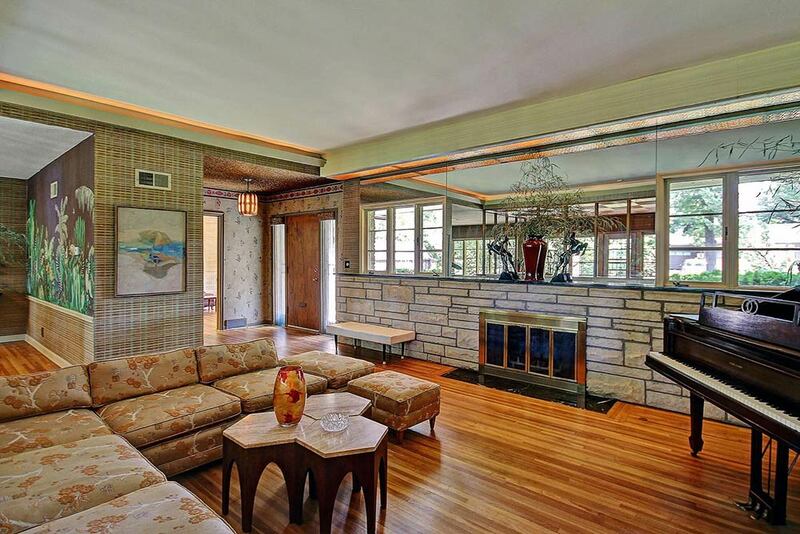 On this wall is a wood-burning fireplace with glass doors. Recessed lighting on all four sides of the room provides an era-rich ambiance. 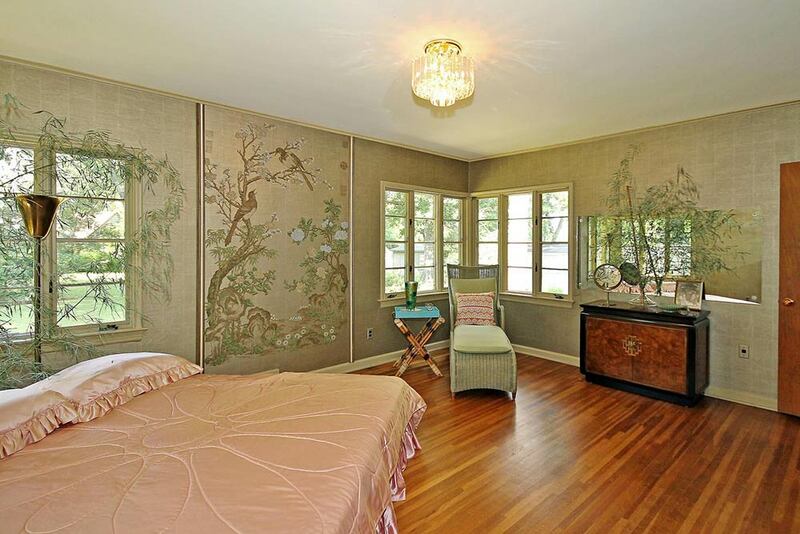 Also highlighted in this room is the silk-screen wallpaper with a tropical motif – reminiscent of the owner’s Mediterranean roots. Separating the formal living from the atrium or sun room and the dining room are limestone walls with teak columns in mint condition. The atrium has tile flooring that MIRRORS the tiled ceiling which is made of grooved tiles stained to match the teak columns. There are two inset lights – one on the south side of the room and one on the north side. The permanent planter in this room has no bottom – it extends to the dirt in the crawl space, so you could plant an olive tree there if you so desired. A wall of Anderson casement windows that slide open overlook the park-like back yard, and a beautiful door centered in this room exits to the back yard. The formal dining room is huge and features silk-screen wallpaper and inset ceiling lights – and more windows bringing in sunlight from the west. The galley kitchen is believed to have been remodeled in the late 1970s. 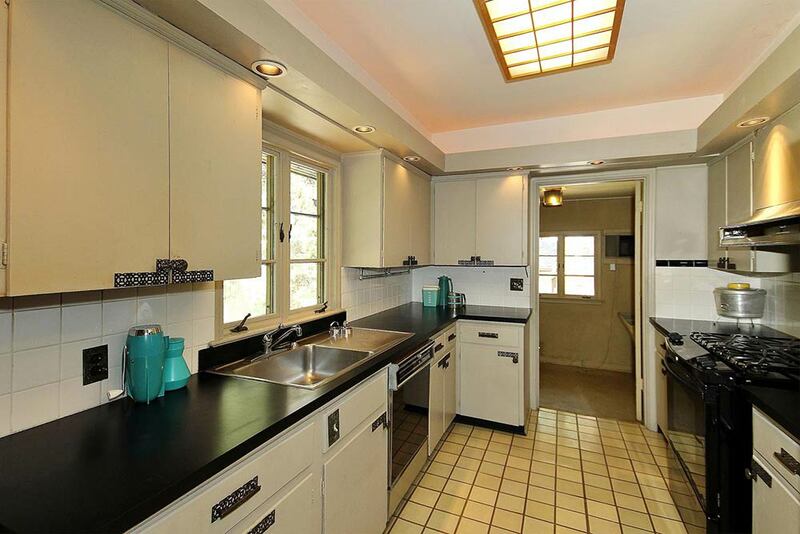 Original cabinetry has custom iron hardware featuring Greek keys. Canned lighting and mod wallpaper was added – and the swag light in the breakfast nook is solid iron. 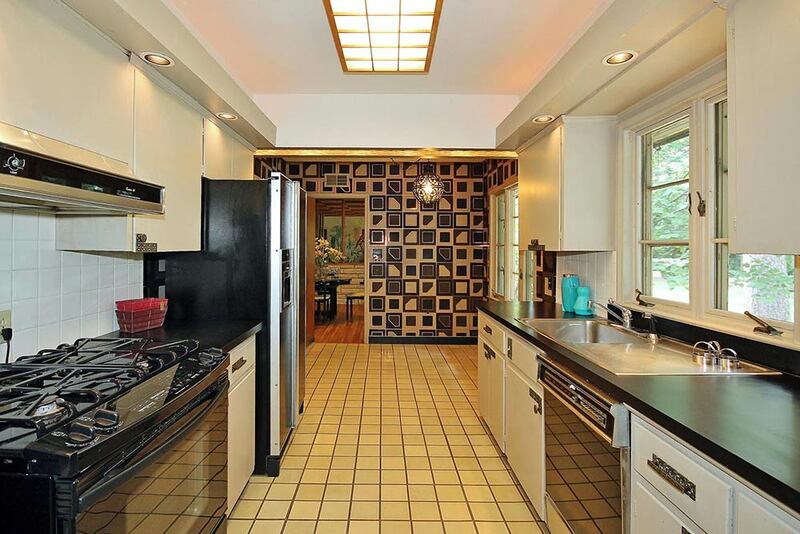 Tiled flooring throughout and a window over the stainless steel kitchen sink complete the package. 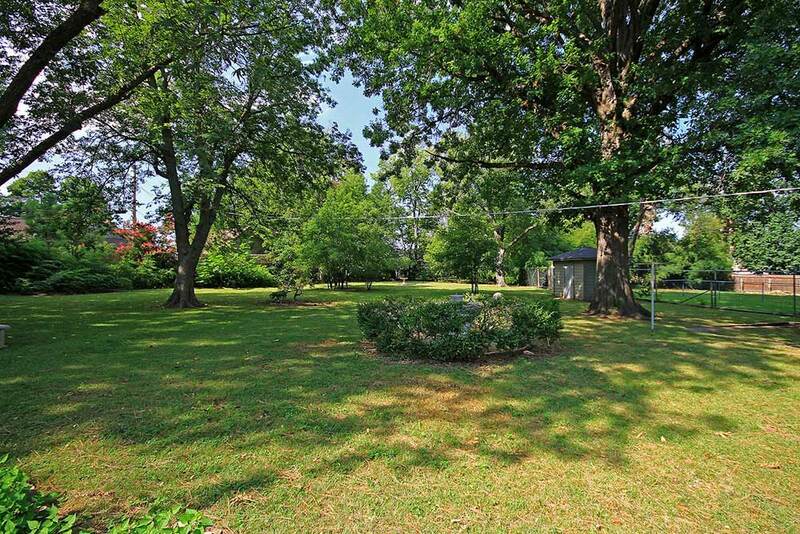 The laundry and mud room off the kitchen includes the 2nd exit to the back yard. The master bedroom is spacious and the highlight includes the silk-screen wallpaper with an Asian motif centered in the west wall, dropped glass light fixture and multiple Anderson casement windows. 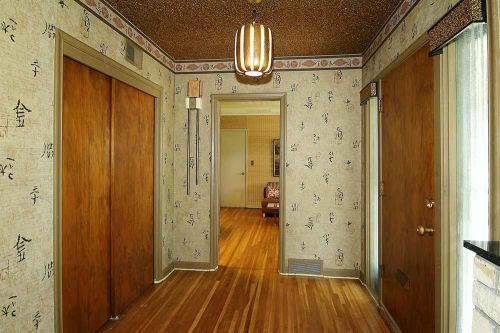 There is actually a matching piece of wallpaper to this one mounted and framed in the hallway. 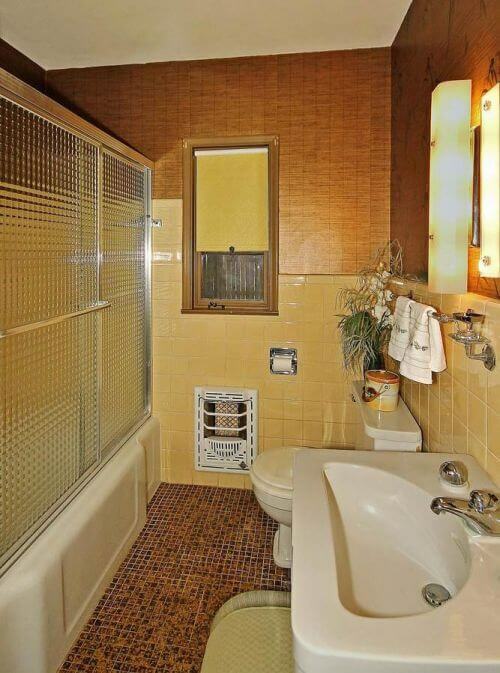 This room has a private full bath with a shower. The second bedroom is towards the front of the home and includes windows on the south-east corner and north-east corner. 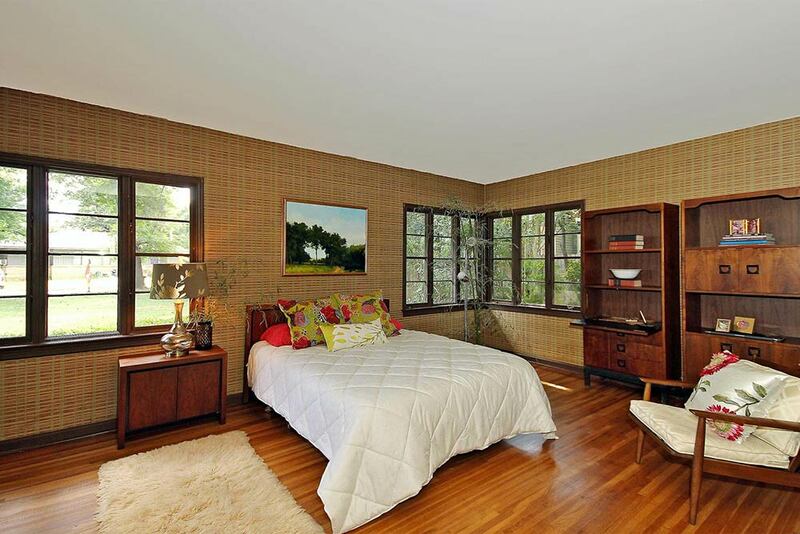 Both bedrooms on this side of the home are huge and both have the corner windows that bring in so much natural light. 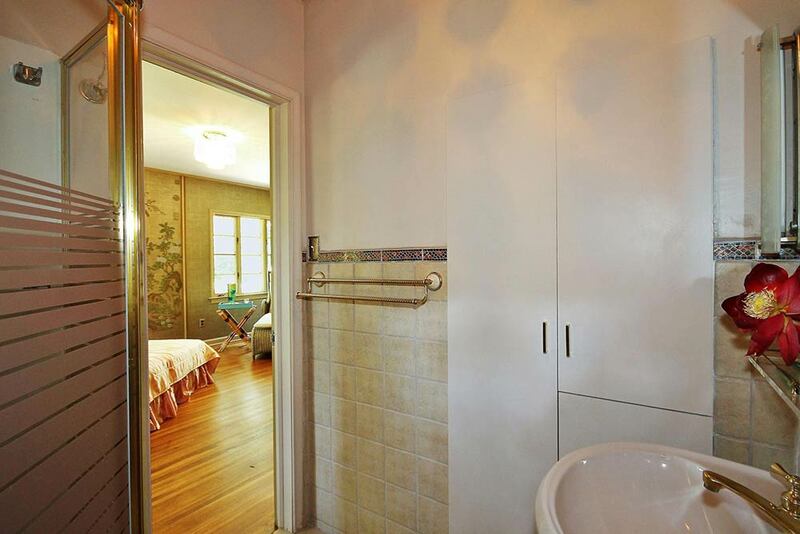 The hall bath is centered between the two bedrooms and is also the bathroom used by guests. Glass doors with a woven cloth pattern sit above the bathtub providing both bathing and shower options. Cabinetry and drawers for linens are outside the bathroom off the hallway. The third bedroom is to the right of the entry and is shown here as an informal sitting room with a vintage RCA television – to be sold separately from the home. 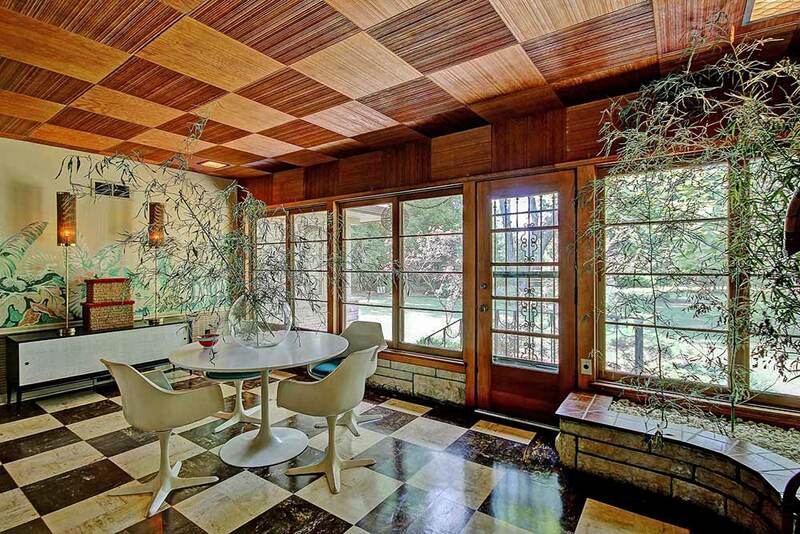 Note that the grooved ceiling tiles in this room are of similar pattern to those in the atrium. 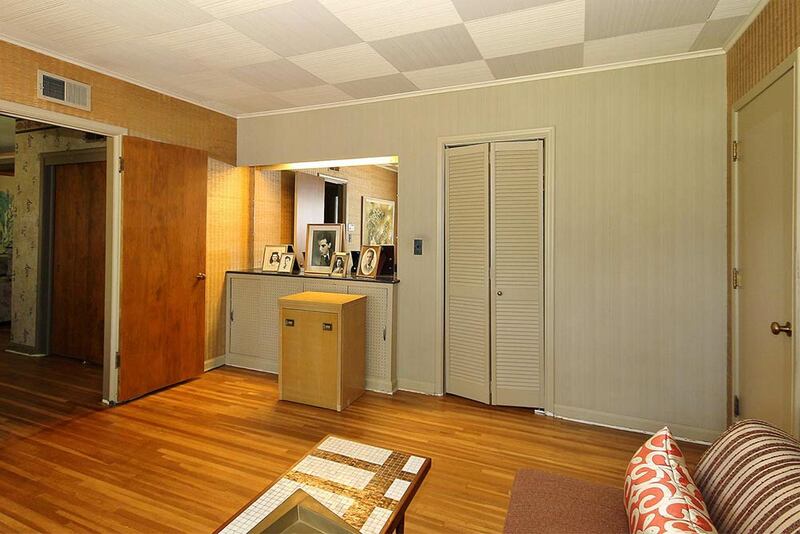 This bedroom includes built-in cabinetry with mirror above and a large walk-in closet. The garage was converted at some point and includes a 4th bedroom, third bath and closet (not shown in photos). It can easily be converted back to a full-size 2-car garage AND it’s possible to reconfigure the bath to be accessible from and private to the third bedroom. 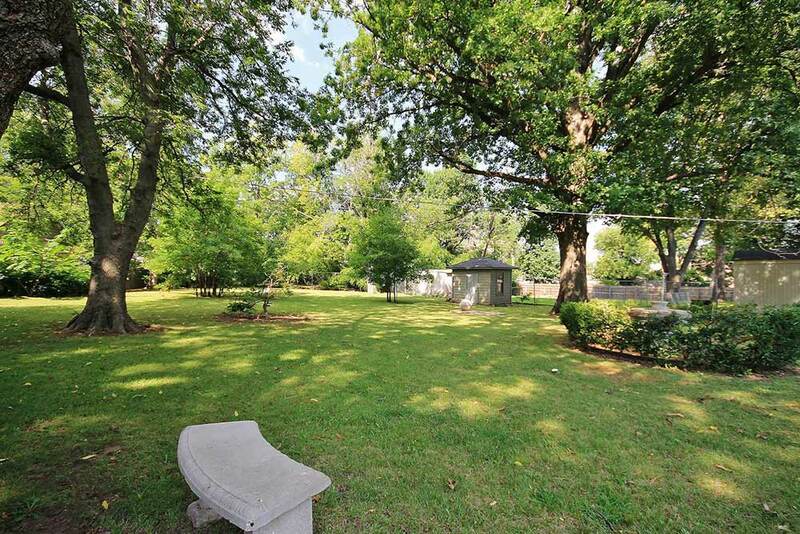 The back yard is simply picturesque and is almost 3/4 acre. The original stone patios made from worm sandstone are in beautiful condition. 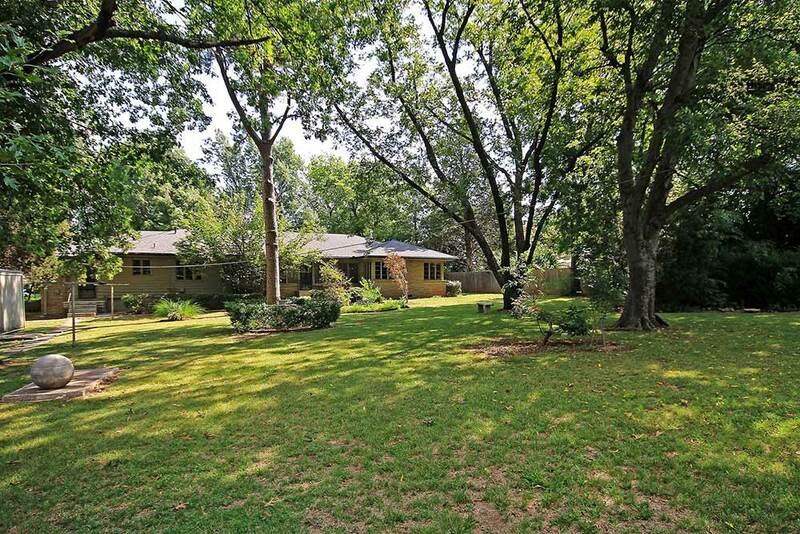 The park-like grounds abound with manicured shrubs, large-scale trees and a bamboo-filled Zen garden that the family developed in the early 1970s. 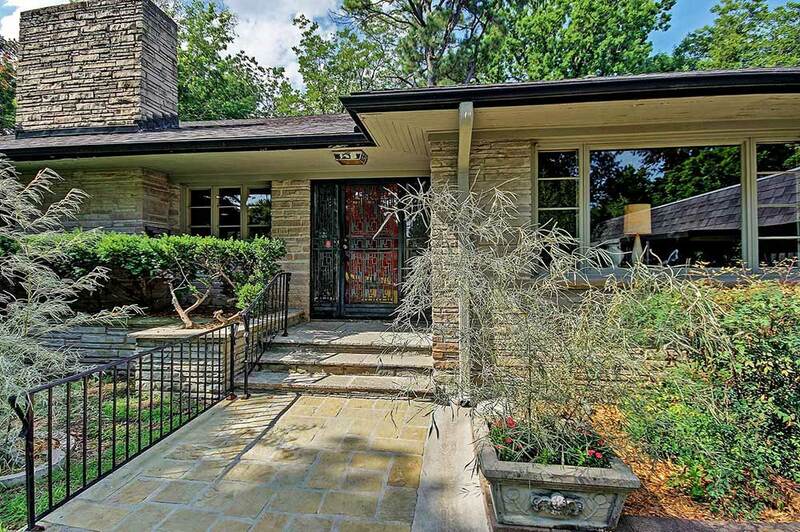 The Mediterranean influence is found throughout the home, unlike other Mid-Century Modern homes in the area. This home is truly a work of art. It seems that every detail has been thoughtfully planned, built and maintained. 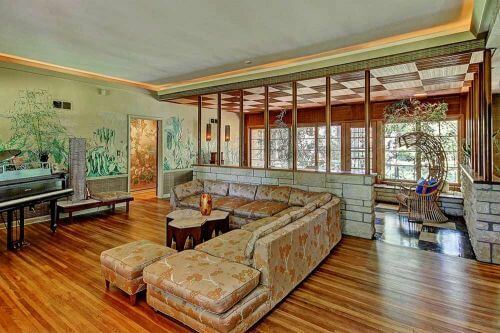 I’m especially in love with the main living area of the house. The sunroom, living room and dining room are all spectacular — a one-of-a-kind gathering space that feels more like a lavish vacation than a living room. Mega thanks to realtor Lori Cain and Photography by Leslie LLC for letting us feature this special property. Wow,that’s beautiful and so close to where I just bought a 2 owner house. It’s so hard to find houses that haven’t been flipped. Ours has a lot of original from 1936 and from when they last updated in 1952. Im going to have to drive by. 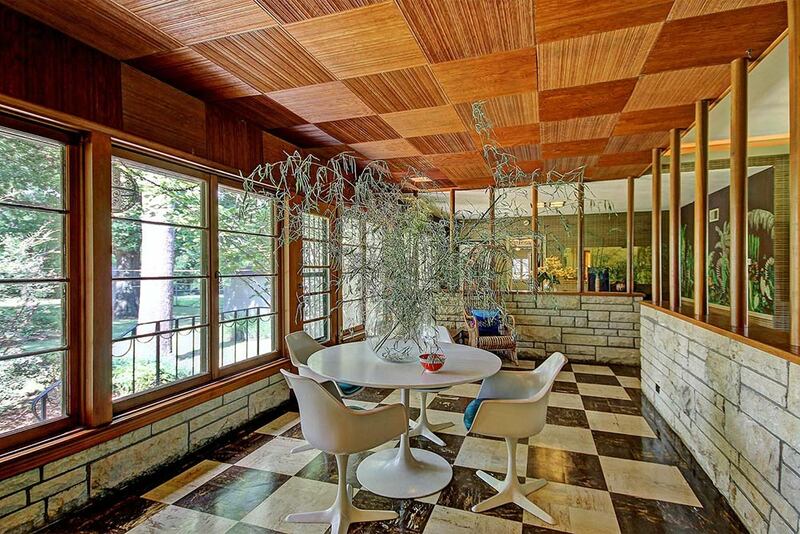 That house is stunning,may even wrangle a tour. The lower price is due to mostly smaller houses near by. There are quite a few Tulsans that love retro!! Tracy, I’m glad to hear that many Tulsans love retro! 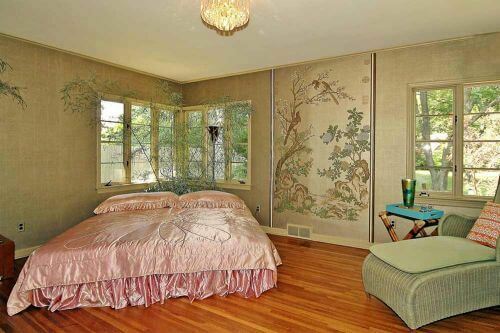 Lucky you, living nearby so you can tour this house in person! The price is fantastic. I am in love! Lucky Tulsans! Hope you are mending nicely, Pam. And thanks for holding down he fort, Kate! 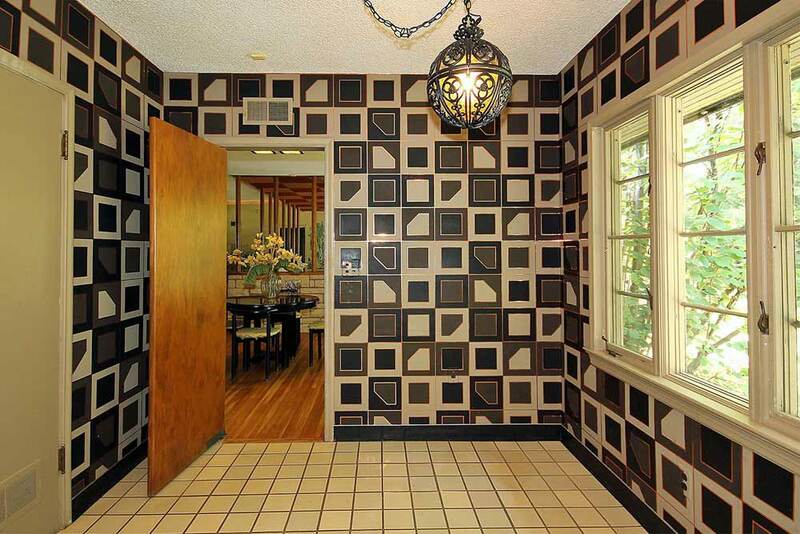 I have a circa 1962 VAT floor similar to the black & white one in this house. How to restore it to “like new”. best process please. I really, really love this house. William did a fantastic job designing it! Murals are gorgeous. 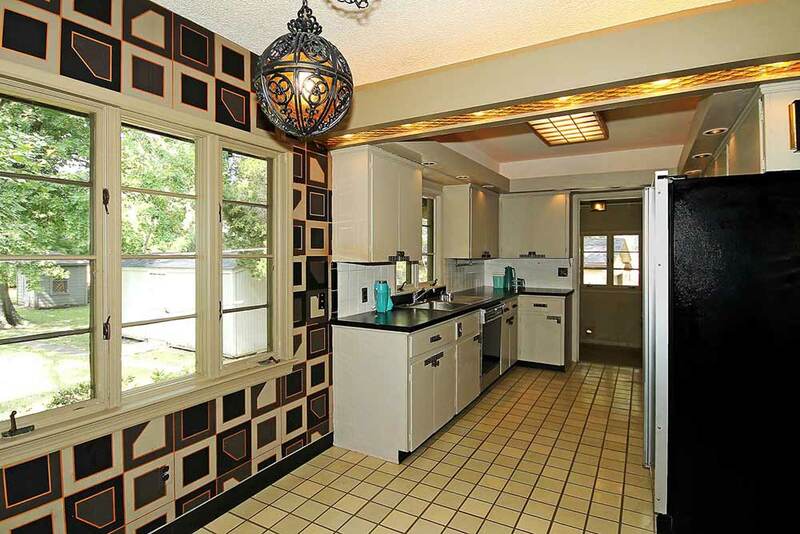 Would love to see what the original 1950s kitchen looked like – it would be fun to restore it to a similar appearance! Love this home! 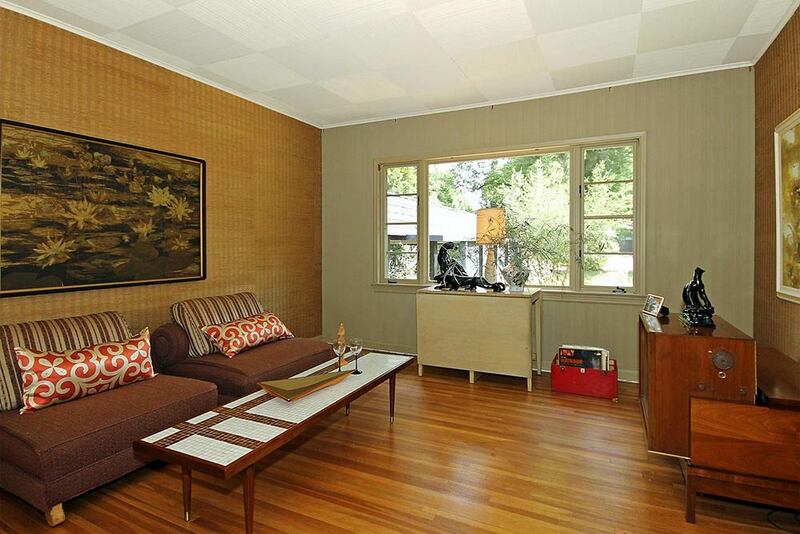 Working on our own “time capsule home”…retrofitting it back to it’s 1970s roots! So much fun! !